The domain name www.mybookshop.co.in (hereinafter referred to as "Website") is owned by Mybookshop, a sole proprietor firm, with its registered office at Address: 17/1, Dakshin Puri Ambedkar Nagar, New delhi - 110062, India (hereinafter referred to as "Mybookshop"). Please read the following Terms & Conditions carefully before using this site. Your use of the Website and services and tools are governed by the following terms and conditions as applicable to the Website. By using this site, you signify that you unconditionally agree and accept to be legally bound by the Terms and Conditions. Such other services as are incidental and ancillary thereto. The Website is only a platform that can be utilized by Users to reach a larger base to buy and sell books, products or services. Mybookshop is only providing a platform for communication and it is agreed that the contract for sale of any of the items or services shall be a strictly bipartite contract between the Seller and the Buyer. If You use the Website, You agree to provide a valid e-mail address and create an account with password at www.mybookshop.co.in. You shall be responsible for maintaining the confidentiality of your Display Name and Password and You shall be responsible for all activities that occur under your Display Name and Password. You can visit and make personal use of this site and services. However, you are restricted from downloading or modifying any portion of the website including images. This site or any portion of this site may not be reproduced, duplicated, copied, sold, resold, or otherwise exploited for any commercial purpose without express written consent of mybookshop. You may post reviews, comments, submit suggestions, ideas, questions, etc, so long as the contents are not illegal, obscene, threatening, defamatory, invasive of privacy, infringing of intellectual property rights, or otherwise injurious to third parties etc. You may not use a false e-mail address, impersonate any person or entity, or otherwise mislead anyone. Mybookshop reserves the right to remove or edit any content that in the sole judgment of Mybookshop violates these Conditions of Use and, or terminate your permission to access or use this Site. You represent and warrant that you own or otherwise control all of the rights to the content that you post or you otherwise provide on or through the Site: the content and the material is accurate and its use will not cause injury to any person or entity; that the content is lawful. Mybookshop has the right to monitor and edit or remove any activity or content on website. Mybookshop takes no responsibility and assumes no liability for any content posted by you or any third party. To send, use or reuse any material that does not belong to you; or is illegal, offensive, deceptive, misleading, abusive, indecent, harassing, blasphemous, defamatory, libelous, obscene, pornographic, pedophilic or menacing; ethnically objectionable, disparaging or in breach of copyright, trademark, confidentiality, privacy or any other proprietary information or right; or is otherwise injurious to third parties; or objectionable or otherwise unlawful in any manner whatsoever; or which consists of or contains software viruses, political campaigning, commercial solicitation, chain letters, mass mailings or any "spam"; or To cause annoyance, inconvenience or needless anxiety. You agree that the rights you grant above are irrevocable and you agree to perform all further acts necessary to perfect any of the above rights granted by you to Mybookshop, including the execution of deeds and documents if required. When you visit www.mybookshop.co.in or send e-mails to us, you are communicating with us electronically. By communicating with us, you consent to receive communication from us electronically as and when required. Membership on the Website is free for buyers. Mybookshop does not charge any fee for browsing and buying on the Website. Mybookshop reserves the right to change its Fee Policy from time to time. In particular, Mybookshop may at its sole discretion introduce new services and modify some or all of the existing services offered on the Website. In such an event Mybookshop reserves the right to introduce fees for the new services offered or amend/introduce fees for existing services, as the case may be. Changes to the Fee Policy shall be posted on the Website and such changes shall automatically become effective immediately after they are posted on the Website. Unless otherwise stated, all fees shall be quoted in Indian Rupees. You shall at all times ensure full compliance with the applicable provisions of the Information Technology Act, 2000 and rules there under as applicable and as amended from time to time and also all applicable Domestic laws, rules and regulations and International Laws, Foreign Exchange Laws, Statutes, Ordinances and Regulations regarding your use of our service and your listing, purchase, solicitation of offers to purchase, and sale of products or services. You understand that, We have the right at all times to disclose any information as necessary to satisfy any law, regulation or valid governmental request. This may include, without limitation, disclosure of the information in connection with investigation of alleged illegal activity or solicitation of illegal activity or in response to a lawful court order. In addition, We can disclose any information about You to law enforcement or other government officials, as we, in Our sole discretion, believe necessary or appropriate in connection with the investigation and/or resolution of possible crimes, especially those that may involve personal injury. Your correspondence or business dealings with advertisers found on or through the Website, including payment and delivery of related products or services etc. are solely between You and such advertiser. We shall not be responsible or liable for any loss or damage incurred as result of such dealings or as the result of the presence of such advertisers on the Website. It is possible that other users (including unauthorized users or "hackers") may post or transmit offensive or obscene materials on the Website and that You may be involuntarily exposed to such offensive and obscene materials. It is also possible for others to obtain personal information about you due to your use of the website, and that the recipient may use such information to harass or injure you. We does not approve of such unauthorized uses, but by using the website you acknowledge and agree that we are not responsible for the use of any personal information that you publicly disclose or share with others on the website. Please carefully select the type of information that you publicly disclose or share with others on the Website. Mybookshop shall have all the rights to take necessary action and claim damages that may occur due to your involvement/participation in any way intentionally or unintentionally in DoS/DDoS (Distributed Denial of Services). Mybookshop aims to reflect the most accurate information on book prices at all times. We supply items at the publisher's recommended price except where a specific discount is offered. We will make all reasonable efforts to present accurate information but we cannot guarantee the price or our ability to supply any particular book. Occasionally publishers may increase their prices unexpectedly, and this is often something we become aware of only upon ordering stock from them. In the event that this occurs, or in the event of a pricing error howsoever caused, we will, at our own discretion, either check with you before dispatch to see if you still wish to receive the item at the new price, or cancel your order and notify you of the cancellation. 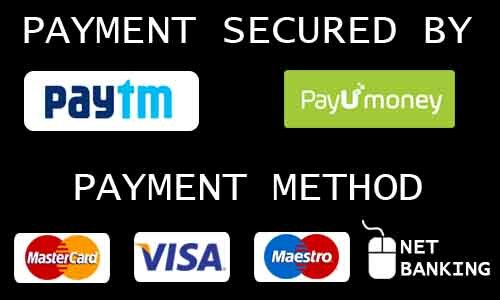 All prices are displayed in Indian Rupees on our website. Posted prices includes all taxes and charges. In case there are any additional charges or taxes the same will be mentioned on the website. The items offered for sale on the Mybookshop contain descriptions that are provided directly by the publisher, manufacturer, developer or distributor of such item. Mybookshop does not represent or warrant that the descriptions of such items are accurate or complete. If Mybookshop comes across any such difference in pricing, it has all the rights to rectify the same or cancel the order. If a user purchases an item from Mybookshop that is not as described on Mybookshop site, the user’s sole and exclusive remedy is to return such item in an unused condition for a refund of the purchase price. We take all reasonable security measures to protect your personal information from loss, unauthorized access, destruction, misuse, modification or disclosure as far as is permissible under law, but we accept no responsibility for any unauthorized access gained to any of your personal information in our possession. Mybookshop does not store/save any of your credit/debit card information. When you click on the pay by Credit Card/Debit Card/Net banking link, you are redirected to a Payment Gateway. All your details are processed and verified by the payment gateway and credit card company/bank and the only thing we receive is a transaction ID against your Order, as confirmation that payment has been received. Notwithstanding anything contained in this Policy or elsewhere, Mybookshop shall not be held responsible for any loss, damage or misuse of Your Personal Information, if such loss, damage or misuse is attributable to a Force Majeure Event (as defined below). A "Force Majeure Event" shall mean any event that is beyond the reasonable control of Mybookshop and shall include, without limitation, sabotage, fire, flood, explosion, acts of God, civil commotion, strikes or industrial action of any kind, riots, insurrection, war, acts of government, computer hacking, unauthorized access to computer, computer system or computer network, computer crashes, breach of security and encryption (provided beyond reasonable control of Mybookshop), power or electricity failure or unavailability of adequate power or electricity. While We will take all reasonable and appropriate steps to keep secure your Personal Information which We hold about You, You acknowledge that the internet or computer networks are not fully secure and that We cannot provide any absolute assurance regarding the security of Your Personal Information. You agree and acknowledge that You are providing your Information out of your free will. You have an option not to provide or permit Mybookshop to collect Your Personal Information or later on withdraw Your consent with respect to such Personal Information so provided herein by sending an email to the grievance officer. In such case, You should neither visit any Website nor use any services provided by Mybookshop. Further, Mybookshop may not deliver products to You, upon Your order, or Mybookshop may deny you access from using certain services offered on the Website. Monitor the total number of visitors and pages viewed. All content included on this Site, such as text, graphics, logos, button icons, images, audio clips, digital downloads, data compilations, and software, is the property of Mybookshop, its affiliates or its content suppliers and is protected by India and international copyright, author's rights and database right laws. You may not systematically extract or re-utilise parts of the contents of the Site without Mybookshop and/or its affiliate's express written consent. You may also not create and/or publish your own database that features substantial (e.g. : prices and product listings) parts of this Site without Mybookshop and/or its affiliates' express written consent. Mybookshop is a distributor and not a publisher of Content supplied by third parties and Users. Mybookshop has no editorial control over such Content. Mybookshop is not obligated to review Content, including User Created Content. Any opinions, advice, statements, services, offers, or other information that constitutes part of Content, including User Created Content, expressed or made available by third parties, including any other User, are those of the respective authors or distributors and not of Mybookshop, unless expressly stated otherwise. Mybookshop does not make any representation, warranty or guarantee on the accuracy, completeness, or usefulness of any third party Content unless otherwise expressly stated. Under no circumstance Mybookshop shall be liable for any loss, damage or harm caused by a User's reliance on information obtained through the Mybookshop Site. It is the responsibility of User to evaluate the accuracy, completeness or usefulness of the information, opinion, advice, or Content, including User Created Content, available through the WebSite. In case we receive a cancellation notice and the order has not been processed/ dispatched by us, we shall cancel the order and refund the entire amount. We will not be able to cancel orders that have already been processed and dispatched by us. We have the full right to decide whether an order has been processed or not. The customer agrees not to dispute the decision made by us and accept our decision regarding the cancellation. We will Endeavour to deliver the Products to you within 3 – 5 working days of your order within the Delhi and NCR, where this is practical. However, Products are subject to availability and delays may sometimes occur that are outside of our control. Any dates specified for delivery are therefore approximate only. If delivery is delayed for more than 21 days, you have the right to contact us and refuse to accept the Product's. In these circumstances, we will refund any money paid by you for those Products and any delivery charges you have been charged. However, we will not be responsible for any other losses, costs, damages or charges that you may suffer if we delay in supplying or do not supply those Products. User acknowledges that through this site, Mybookshop merely acts as a facilitator, in order to facilitate highest quality services to the users. Mybookshop does not warrant that the functions contained in this site will be uninterrupted or error free, that defects will be corrected, or that this site or the servers that make it available are free of viruses or other harmful components, but shall endeavour to ensure user fullest satisfaction. In no event shall Mybookshop, its employees or agents be liable for any direct, indirect or consequential damages resulting from the use of this web site. Hypertext links to other web locations are for the convenience of users and do not constitute any endorsement or authorization by Mybookshop. Mybookshop shall not be held responsible for non-availability of the website during periodic maintenance operations or any unplanned suspension of access to the website that may occur due to technical reasons or for any reason beyond Mybookshop 's control. Unless otherwise specified, the material on the Website is presented solely for the purpose of sale in India. Those who choose to access this site from other locations/Countries other than India do so on their own initiative and Mybookshop is not responsible for supply of products/refund for the products ordered from other locations/Countries other than India, compliance with local laws, if and to the extent local laws are applicable.